#10 wholesale envelopes. (Standard letter size) Printed in full color on premium 70 lb. opaque paper stock. Trade #10 envelopes. Build a strong corporate identity with quality printed trade envelopes to send professional correspondence. 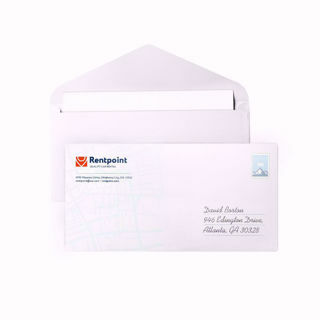 Deliver professional correspondence in custom printed envelopes to complete your corporate identity. Imprinted with a LOGO and/or return address is a statement of company identity. Combine with our High Quality Letterhead for a professional package! Printed in full color on premium 70 pound stock.